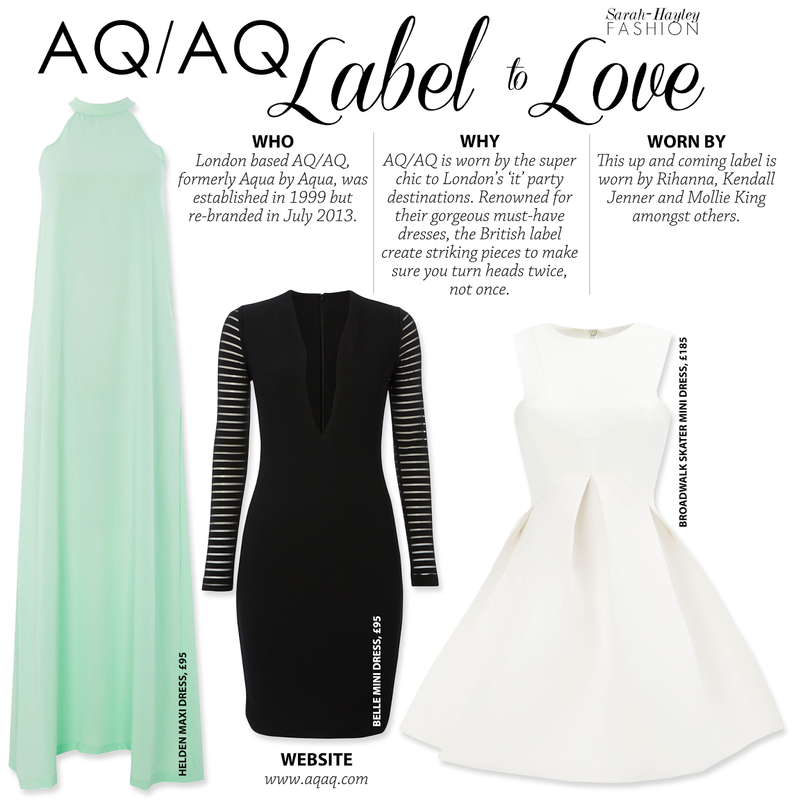 In July 2013 Aqua by Aqua re-branded itself to AQ/AQ and I was lucky enough to attend the launch party. This fresh, London brand create pieces to make a strong statement and bold entrance for any party girl. I love the brands core aesthetic featuring clean lines, a smattering of print and a collection available in a multitude of stunning bright hues. AQ/AQ lies ahead of its competitors by creating an aspirational, high fashion, brand at an accessible and achievable price point. It lies within my category of directional brands who cleverly balance sophistication in style with a provocative ethos.